We do barbecue repair in East Hollywood as well as barbecue cleaning and restoration. Our services are fast, convenient and professional. Our technicians are all factory trained and certified to fix a majority of the barbecue grills. We are repair experts in brands such as Alfresco, Capital, DCS, Fire Magic, Kalamazoo, Lynx, TEC Sterling, Thermador, Twin Eagles, Viking, Weber, and Wolf. In fact, there is not a brand or a model that we can not fix. As long as we can find the parts for your grill, we can figure out a way to fix it. And most of the time we can find the parts that other BBQ repair companies can not. Our company works with factory parts distributors. No project is too complicated for our experienced technicians. When it comes to barbecue repair in East Hollywood, we are simply number one. We service gas BBQ, charcoal BBQ, electric BBQ, portable BBQ and smoker BBQ. Our company is family owned and operated for more than 30 years. 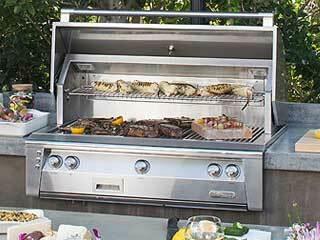 We are equally knowledgeable about residential barbecue repair and commercial barbecue repair. Our service area includes whole Los Angeles, Ventura County, and East Bay. For barbecue repair in East Hollywood just give us a call at 818-392-8666. We will get your information and provide you with FREE over the phone estimate. We will also preorder parts for your barbecue grill if possible. A qualified technician will soon be on his way. He will carry with him all the parts and tools necessary for your particular project. Our technician will arrive right on time and be super friendly and polite with you. He will take your barbecue apart and determine what the problem is. Our technician will immediately start repairs, replacing parts and doing tune up of your whole grill. Why pick us to do your barbecue repair in East Hollywood? We are number one hard working and knowledgeable barbecue repair in East Hollywood company. 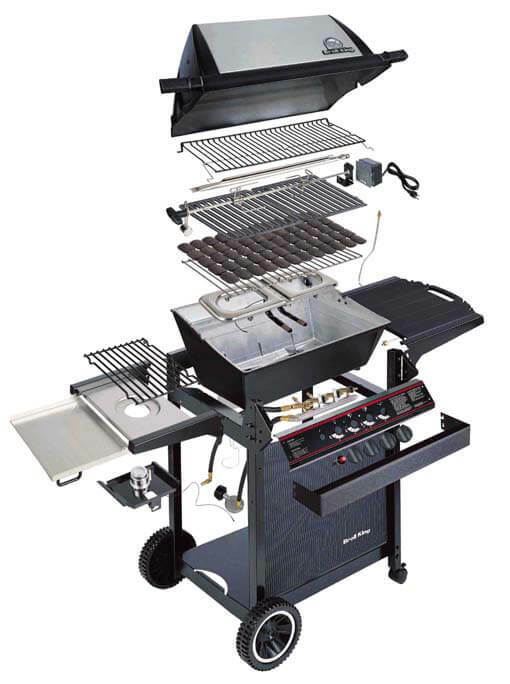 Our technicians are factory trained and certified by a majority of barbecue grills. We specialize in custom, high-end or European brand grills that other companies do not know how to fix. But there is not a brand or a model of barbecue that we have not had our hands on. Our goal is to give you excellent barbecue repair experience at the most affordable prices. We strive to make this experience comfortable and convenient for you. We are your local barbecue repair in East Hollywood specialists. We serve the entire city of East Hollywood and Central LA area. You don’t have to wait long. Give us a call at 818-392-8666 or fill out this application and our skilled barbecue repair specialist will be at your door at no time.